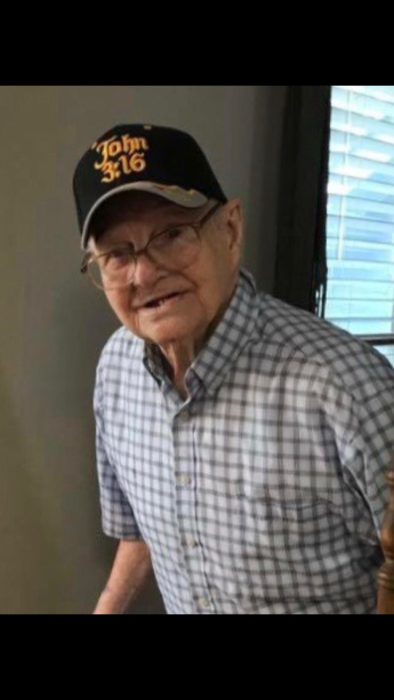 John E. Blevins, age 91 from Hamilton, Ohio passed away Friday, April 6, 2018 at the home of his Granddaughter/Caregiver, Nicki Strickland in Dallas, Georgia. He was born February 25, 1927 in Hamilton, Ohio, son of Thomas and Della Mae Blevins, was the last surviving sibling of 14. He is survived by his daughter Cathy (Randy) Gray; son Doug Blevins; daughter Nancy Coombes; daughter Debbie Marcum; daughter Lynda Hamblin and his 17 grandchildren, 24 great grandchildren and 4 great great grandchildren. John was preceded in death by his wife Kay F (Van Cleve) Blevins; daughter Barbara Thibodeaux and Great grandson Landon Hamblin. He served his country proudly enlisting in the Navy during World War II. John worked at Champion Papers for 46 years. He moved to Acworth Georgia 10 years ago to live with his daughter Cathy and her husband Randy Gray. He spent the last four months of his life with his granddaughter Nicki Strickland. Also a special thanks to Kindred Hospice of Atlanta, Georgia. John devoted his life to his family. He was known to us all as Pawpaw John. His favorite thing to do was spending time with his family. He had a great sense of humor, was an avid sports fan and especially loved his baseball and basketball, loved telling stories, watching old westerns, traveling and visiting his friends and family, taking long drives and enjoyed going out on the boat.